Factory Reconditioned equipment has been refurbished by the manufacturer to the quality of their new units. They have little to no use, but may have small cosmetic blemishes. 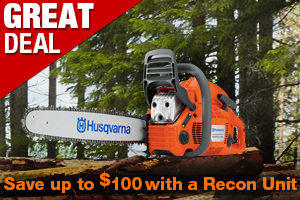 Our Husqvarna reconditioned equipment offer significant savings compared to new units. Plus, they're backed by a 30 day warranty.